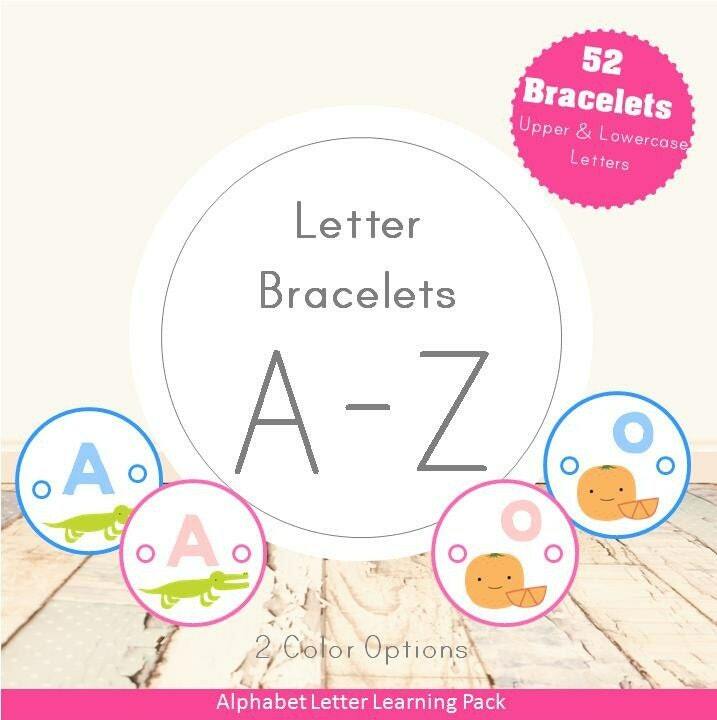 The A-Z Letter Bracelets are a great supplement to the Alphabet Letter Learning Pack series! These bracelets feature the cute graphics used throughout the Alphabet Letter learning series & offer little ones a fun way to wear & explore each upper and lowercase letter of the alphabet! 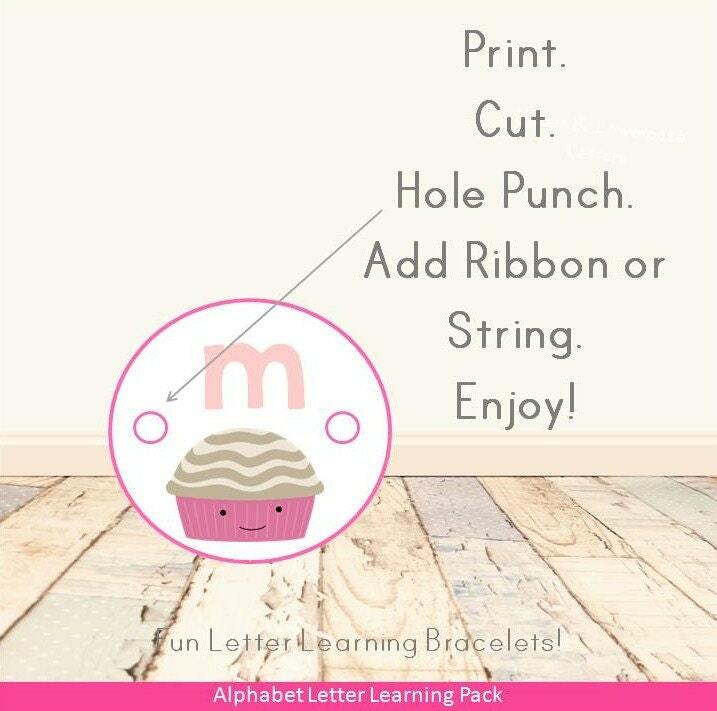 If you have a little who is beginning to recognize letters and their sounds or are a teacher with a class full of little ones eager to learn, these Letter Bracelets will help make learning fun for the little one(s) in your life! This set includes 52 letter bracelets (upper & lowercase letters).